199 episodes of Country Squire Radio since the first episode, which aired on July 7th, 2015. What makes an English Blend English? Well it’s a good thing you asked, because this week Jon David and Beau dive headfirst into this oft confusing and unclear topic! Pylorns joins Jon David and Beau to discuss some shakeups on the r/PipeTobacco forum as wells as pipes and cigar censorship online. Our resident Pipe Leprechauns Jon David and Beau run all the snakes out of the pipe shop and get a wee bit drunk on this St. Patrick’s Day Special! Okay, maybe they don’t drink, but they do talk green pipes! So grab a shamrock shake, dance a reel with your lass, and tune in to this fantastic jig of an episode! As we still reel from the loss of McClelland as a company we know and love, we pivot this week to a brighter future and visit some tobaccos that might be worth trying again, or perhaps trying for the first time, in our individual quests to find new favorites. It’ll be good to explore the world of tobaccos outside of McClelland. There will be no perfect matches or direct translations, but these will be some tobaccos that we might keep in mind as we try to find comparable substitutes. JD and Beau review tobaccos to enjoy during the season of love! JD and Beau once again enjoy another fun night of Squire Select where they take two whiskeys (generally speaking) of various origin and suggest pairings with two complimentary pipe tobaccos that Jon David has pre-selected with his brilliant mind and palate. 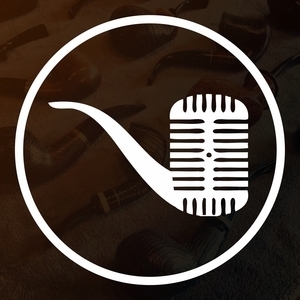 JD and Beau reopen the discussion on Pipe Culture, specifically looking at pipe smoking archetypes with community commentary provided by listeners, all detailed below. Additional thanks to www.reddit.com/r/pipetobacco for their contributions to this episode.